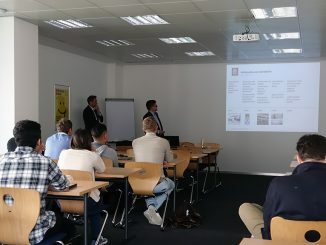 “A private university is an ideal training field to learn social competences” – this is one of the most precious insights students of Munich Business School take home for their further path of life. But they will also richly profit from factual know-how, intercultural dialogue and the ongoing exchange with entrepreneurs. With cosmopolitan Karolina Ruszkowska-Comulada, I had the pleasure to discuss the challenge of mastering the learning marathon of a one-year MBA, and about the intercultural experiences and benefits of a private university. After various jobs, practical training terms and a graduation from a Master program in “International Business”, Karolina came with a treasure chest already filled with comprehensive experience. However, standing still and resting on her laurels never came to her mind. She wanted more; she wanted to climb the next step of the career ladder. 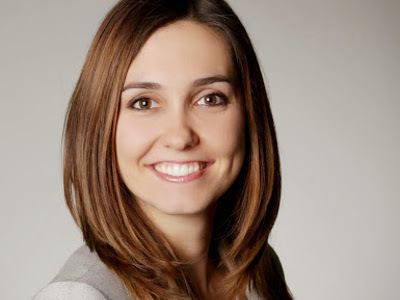 She thought “it’s now or never” and unceremoniously quit her job and started an MBA program at Munich Business School, taking the next step of her career. Discipline, courage to confront challenges and persistence – during the nine months of the full-time academic program at Munich Business School, the native-born Pole not only acquired technical and practical knowledge, but also enhanced her personal strengths. “The academic program is highly demanding, and all the more, if you come from regular employment,” says Karolina. Following her one-year traineeship in a company, she worked in the sales department for another three years. But the ambitious Polish lady wanted to move ahead and prepared for the next stage of her career. Back from work to the desk at home – “a shock”, as Karolina remembers. She had to get used again to sticking her nose into thick books. The first semester was particularly intense. It was all about basics. “Reaching a certain level within only nine months required relentless effort”, the student recalls. “Laptop, writing pad and pencil were ready at eight in the morning, because lectures started. And they would continue until eight at night.” Biggest challenge: To remain persistently focused and concentrated. And in case you looked forward to slouching on the couch in the evening: Too pleased too soon. Relaxing was not on the agenda. Often, the student had to prepare presentations for the following day. As a basis for their future, MBA students have to pass through a regimented and demanding program. Karolina had her own coping strategy: She always reminded herself about what she wanted to learn and what she wanted to do with it in the future. Karolina enjoyed life in Munich alongside the academic program very much. “Munich is a very international city. 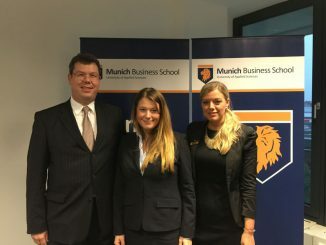 My friends had always come from all parts of the world, but when I came to Munich Business School, my environment became even more international“, explains Karolina. Her fellow students come from China, the USA and Africa – from nearly every continent. “Working and living with other cultures is really an interesting experience. 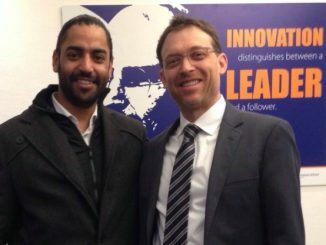 Of course, there were challenges, because you have to deal with cultural differences head-on and actively,” reports the MBA student. Munich Business School offers the ideal training field to expand social competences. “Unlike in business life, personal behavior here has no direct consequences yet, and none will take disciplinary action”, she says. After all that very hard work, she will be able to look at the job market from the highest step of the ladder. And that is worth any effort.